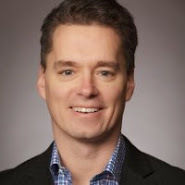 I am a mentor for the Chicago chapter of Techstars, now in my fourth year. In the first month of the program, the member companies are immersed with mentorship from the 150 Techstars mentors that are part of the local program. And, the consistent question I get, year after year, from the member companies is: “I am getting conflicting advice from the multiple mentors, and it is confusing me, as they are all smart people, and I am not sure who to listen to?”. Hopefully, this post will help you cut through the confusion and let you know which mentor you should listen to the loudest. It has been well-documented that big companies typically struggle with innovation. Once companies get to a certain size, their investors become more conservative, their leaders less entrepreneurial and their employees less willing to stick their necks out with “out-of-the-box” ideas that may not work out, resulting in them losing their jobs. Without innovation, companies get too “comfortable” with their past successes, and eventually go out of business (see Woolworth, Montgomery Ward, Borders, Blockbuster, American Motors, Pan Am). Although that is largely the rule, there are several examples where entrepreneurship inside a large organization can and does prosper. This is the world of intrapreneurship, a term popularized by academic researcher Howard Edward Haller, management consultant Gifford Pinchot III and the great Steve Jobs back in the early-to-mid 1980s. 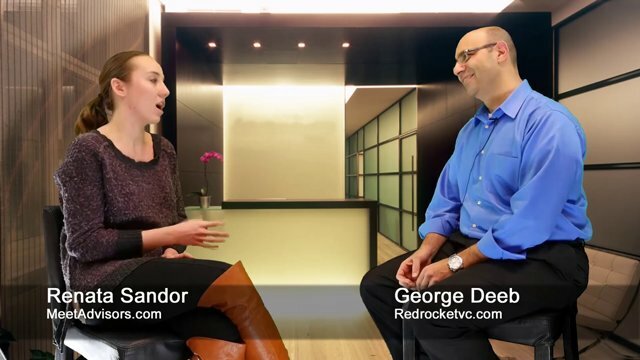 Red Rocket's George Deeb had the pleasure of sitting down with Renata Sandor at Meet Advisors to talk about the consistent problems he sees across the hundreds of startups he has met over the years. Hint: you can bet that not enough focus, skills or budget around proof-of-concept marketing is at the top of the list. 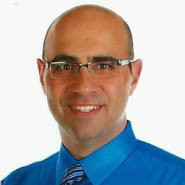 George Deeb, Managing Partner at Red Rocket Ventures from MeetAdvisors Videos on Vimeo. If you have trouble viewing the video here, you can see it on Vimeo. It is a sad, but familiar, story in startup land. An entrepreneur raises a limited amount of funds, plows it entirely into building out their product, and has no gas left in the tank for driving users to the site once the product is complete. Then they go out hat-in-hand to the venture community looking for additional growth capital, without achieving the proof-of-concept required by the venture investors (in the form of initial user adoption). Hence, leaving them out-of-luck with the VCs and scratching their head, trying to work out how to raise sales and marketing monies to achieve their proof-of-concept. The 1,024 Types of Salespeople--Hire the Right One! Recently, I was asked to judge a startup competition. As I was filling in the evaluation questionnaire, I noticed that the questions being asked revolved around four topics, all starting with the letter M: market, model, management and momentum. That is an elegant way for all of us to think about evaluating startups.